Looks like Nina is Caught in the beef between Bobrisky and Toyin Lawani. Reality TV star, Nina, through her Instagram page, has sent an open letter to cross dresser, Bobrisky. This is coming after the cross dresser took to IG to state his disappointment in Nina. He should have rooted for Cee-c instead, he said. During the next season of the show, he will take his time to decide whom he will root for. 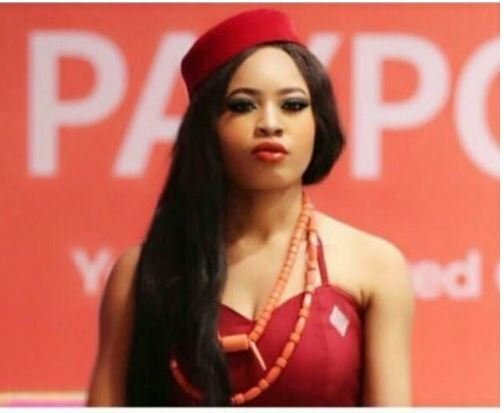 His anger, however, is not far from the TV star’s association with Fashion entrepreneur, Toyin Lawani. The male barbie and Toyin have been sworn enemies. His enmity with her, lead him to prison, one would recall. I didn’t think I was gonna make it, but you rooted for me For the friend who stood by my side through the storm for you Bobrisky the person who could see through my darkness when I wasn’t able to. For the friend who was delicate with their words and capable of pushing me forward. Who didn’t mind what people where saying against me in dark corner, who actually stood his ground to help me. Thank you. But I’m trying to build up my life,I didn’t know you had all this difference with Toyin Lawani,but then again when i found out i said to myself..i shouldnt involve myself it’s between you two..